We are a group that currently meets periodically for fellowship and serving in the church and community. The Veterans Group Ministry will render support to both active and retired veterans providing both spiritual and moral support to families of all veterans. Crossroads recognizes veterans who have sacrificed for their country, and wishes to honor and support their service. This is a luncheon for Crossroads Veteran's to eat and fellowship together. It is a free event for our Veterans. Director of the Cabarrus County Veteran’s Services Office, Tony Miller will be the guest speaker. Lunch will be provided. Registration requested. 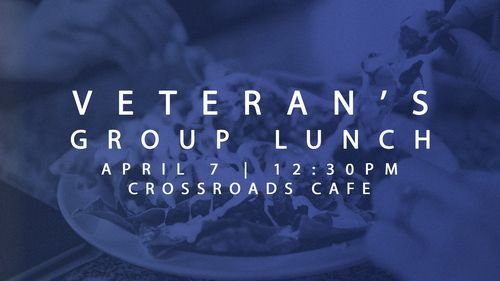 This is a luncheon for Crossroads Veteran's to eat and fellowship together. It is a free event for our Veterans. Lunch will be provided. Registration requested. 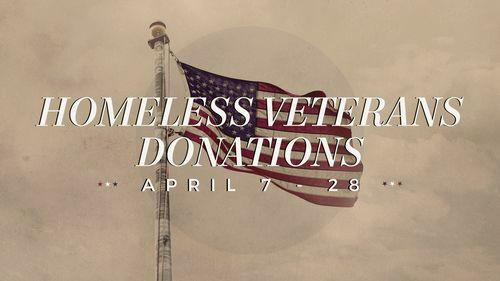 The Crossroads Veterans group is collecting donations from April 7-28 for the Elks Club in Salisbury to distribute to Homeless Veterans . Donations of these items would be appreciated: undershirts, underwear, socks, toiletries (tooth brush, tooth paste, deodarant, soap, etc) for men and women. No other types of clothes donations at this time. Please drop them off in the Missions Corner. additionally on Memorial Weekend, Veteran’s Weekend, and July 4th Weekend. Interested in joining the Veterans group? Sign up for more info now!